Both neighborhoods have an abundance of the popular sugary Latin American and Iberian dessert. They’re crunchy, they’re sugary, and they usually have just the right amount of cinnamon. 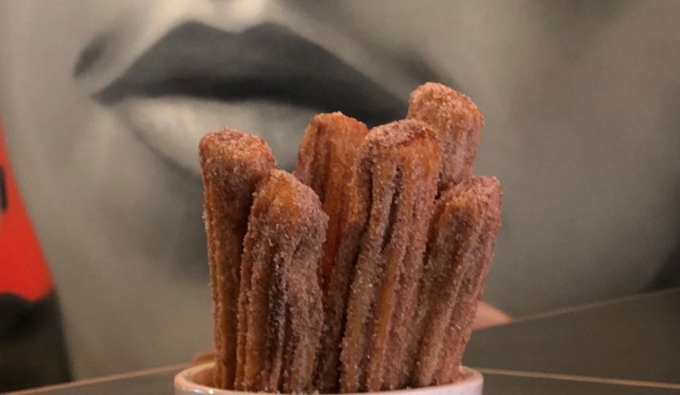 There are currently a variety of options in Ridgewood and Bushwick for where to find pretty solid churros at different price points, serving sizes, and even shapes. 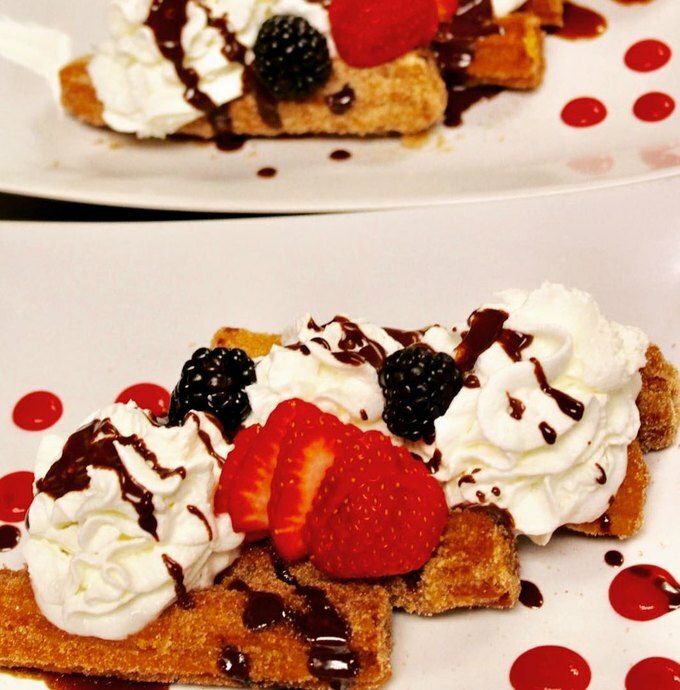 This Ridgewood location focuses on Spanish foods, desserts and a variety of drinks. 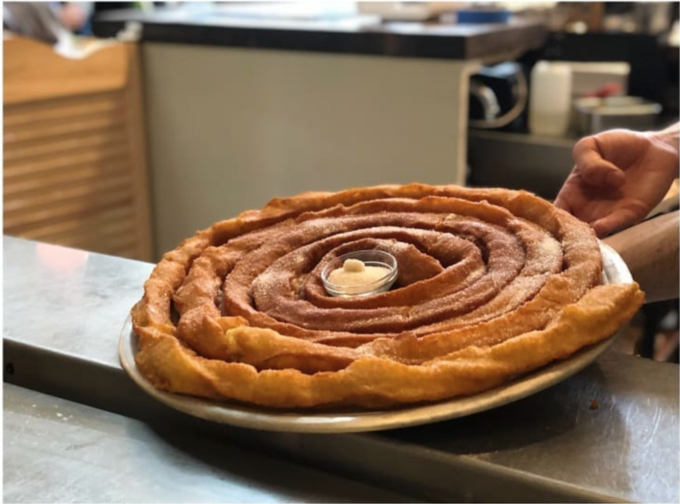 We featured them late last year and so many people online concluded that the huge churro wheels at the cafe are fresh, delicious, and come with a generous helping of sugar. Bushwick Daily writer Andrew Karpan wrote a review of the place and their awesome Spanish churro wheels. The cafe also sells rose lattes, that aren’t too likely to be paired with a churro wheel. Head to this Latin tapas spot by the Halsey stop, if you're trying to impress a date or friend who loves dessert. Their churros are a little fancy, they come plated with some fruit and whipped cream. Have them with brunch, or just have a ton of them for brunch (we won't judge you). Apart from having a variety of tacos, this place has stick-churros covered with a delicious drizzle of chocolate. If you’re really craving something sweet, skip the tacos and go straight to the desserts. Pour the decadent chocolate on top of the crunchy, crispy fried sticks or just dip them in. Either way, you can’t go wrong. 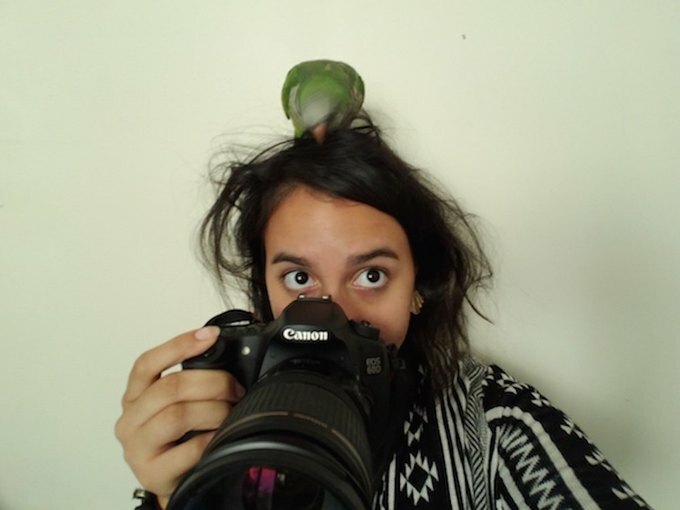 You'll also be able to eat them amongst a ton of cool Frida Kahlo inspired images, so you'll have some great food and also be surrounded by awesome art. This bakery is right next to Maria Hernandez Park and it offers fresh churros to pair with fluffy pan dulces (sweet breads), and other authentic Mexican pastries. If you get there a few hours before closing, the churros are sometimes warm and almost caramel-ey if the sugar melts a little on the churro stick, which just makes them taste even better. This location is great for sitting down, having a shot, a taco and a ton of churros. It's a Mexican cantina whose owner is also the brains behind Bodegita and Leaf, so the sugary sticks are sure to be good (and fresh) here. We can't stress more how cool it is to be inside La Lupe and how great the food is too. 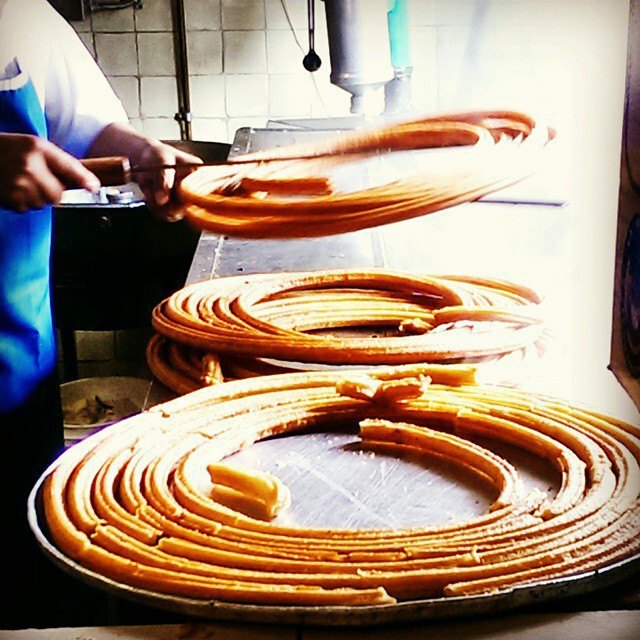 See how a few churros pair with La Lupe's mezcal, or any other of their drink selections. This is on the same block as Saint Brigid’s RC just along the Bushwick- Ridgewood line by the Myrtle-Wyckoff Ave stop of the L.
This is a great option if you’re looking for quick, cheap, grab-and-go kind of churro. They’re just a few dollars and it’s a great pick me up to wind down the end of the weekend. The woman who sells them is usually near the church at 11:30 a.m. to 1:30 p.m., which is hopefully enough time to grab a bag or two. Three churros will run you $5 or less depending on the vendor, but they’re always cheap. There are also often sellers inside the Myrtle-Wyckoff Avenue stop of the L near the staircase that leads down to the train platform. They’ll make a great commuting to work, or a walking-home-from-the-train-station-snack. I recently asked one of the vendors when they’re are most likely to be at the station, "a little before rush hour," so it’ll make getting back home worthwhile. 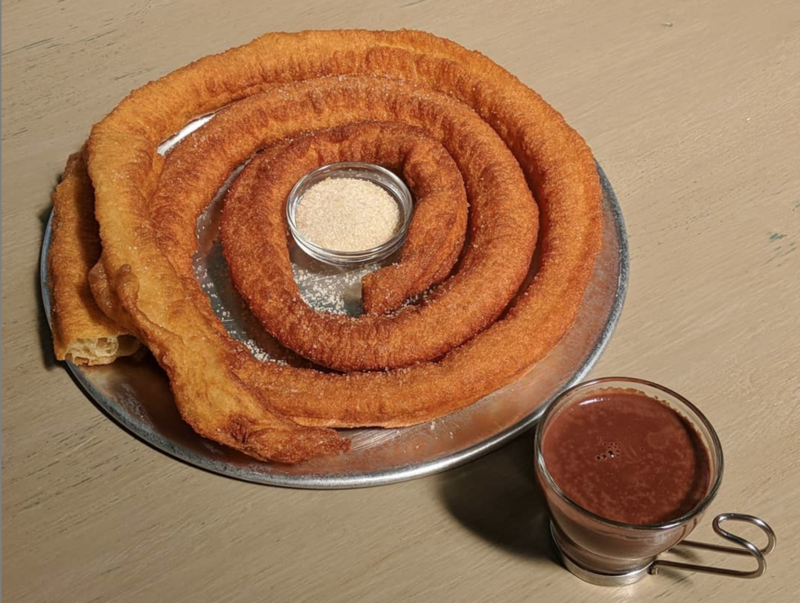 Make a weekend out of touring Ridgewood and Bushwick for churros and find out which one is your favorite.